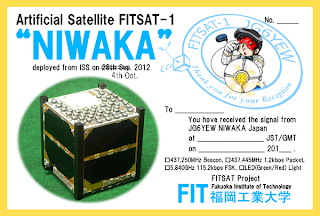 FITSAT sends the beacon signal 30 min after the deployment. 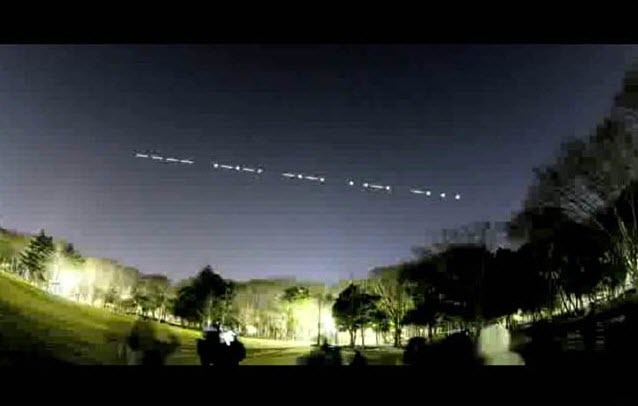 The beacon frequency 437.250MHz of FITSAT-1 conflicts with the satellite PRISM of Tokyo Univ. Please confirm that the CW starts "HI DE NIWAKA ...". The orbit is almost same as ISS. 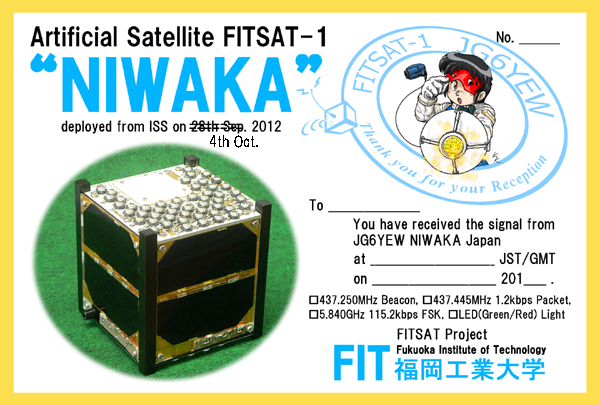 Please send the signal report and your postal address to fitsat1@hotmail.co.jp and also cc to tanaka@fit.ac.jp. You will receive this verification card.